Friday, March 22 – Sunday, March 24, 2019 at The Adirondack Sports Complex (“The Dome”) in Queensbury, NY. 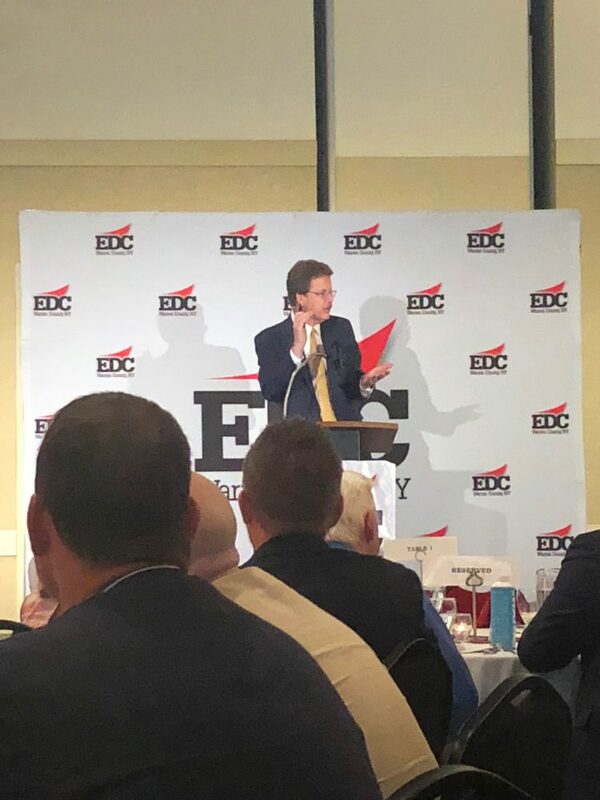 Dr. John E. Kelly III, IBM Senior Vice President of Cognitive Solutions and IBM Research gave an important lecture at the Warren County Economic Development Corporation Luncheon today at the Six Flags Great Escape Lodge regarding the advancement and exponential growth potential of Artificial Intelligence. Dr. Kelly gave a detailed overview of AI and the amazing super-computers he and his colleagues at IBM are currently working on. Mind blowing stuff, really. According to Dr. Kelly, theses new advancements in technology are going to such high levels, that computer chips the size of a grain of salt will actually be able to process data in seconds, to help humans in just about every field make key decisions and solve problems with a 99% accuracy. In one specific example, Dr. Kelly explained that using AI, IBM’s computer technology scales Globally and it could help a doctor in India retrieve an American citizen’s digital health records in seconds, to properly be able to diagnose and best treat ailments of that person, in real-time. Additionally, he explained that IBM is working tirelessly with leaders in healthcare to be able to use this technology to hyper-target the source of rogue cell mutations, assisting health care providers to actually be able to prevent the spread of cancer at the source, upon diagnosis. Pretty awesome news. For boaters like us, some neat details were discussed regarding how IBM, The FUND for Lake George, and Rensselaer Polytechnic Institute (RPI) in Troy, NY have joined forces on The Jefferson Project, to utilize IBM’s AI technology to track invasive species. The group’s joint effort is currently tracking human behavior and its impact on Lake George, using IBM’s computers and AI technology tracking system as an effort to more proactively be able to prevent the contamination and spread in the future. More great news there. The best part however, is that this technology is already being scaled as a means to track the same activity throughout other bodies of water in Upstate NY, such as Skaneateles. At IBM, Dr. Kelly is focused on the company’s investments in several of the fastest-growing and most strategic parts of the information technology market. His portfolio includes IBM Analytics, IBM Security and IBM Watson (as seen on Jeopardy, outsmarting human beings), as well as IBM Research and the company’s Intellectual Property team. He also oversees the specialization of IBM Watson into various industries and domains including IBM Watson Health, IBM Watson Internet of Things, IBM Watson Education, IBM Watson Financial Services and IBM Watson Customer Engagement. In this role, Dr. Kelly’s top priorities are to stimulate innovation in key areas of information technology and to bring those innovations into the marketplace quickly; to apply these innovations to help IBM clients succeed; and to identify and nurture new and future areas for investment and growth. He works closely with the leaders of these units to drive business development, accelerate technology transfer and invest for the future. 1. Open up your boat for a vessel safety check: You may think getting a vessel safety check from the U.S. Coast Guard Auxiliary, U.S. Power Squadrons or NY State Law Enforcement can open yourself to problems. However, a no-risk, free vessel safety check does the opposite. It points out both the required and recommended items to have aboard, such as fire extinguishers, life jackets, distress signals, first-aid kits, and engine spark arrestors, and also helps provide a better understanding on the care and use of this critical equipment. Checks are done as a courtesy with no risk to the boater, so you won’t be in trouble if discrepancies are found. Go to https://bit.ly/1syhbDA to request a U.S. Coast Guard Auxiliary safety check or https://bit.ly/2I2uc8w for a U.S. Power Squadrons safety check. The above information has been provided courtesy of the BoatUS Foundation for Boating Safety and Clean Water: The BoatUS Foundation for Boating Safety and Clean Water is a national leader promoting safe, clean and responsible boating. Funded primarily by donations from the more than half-million members of Boat Owners Association of The United States (BoatUS), the nonprofit provides innovative educational outreach directly to boaters and anglers with the aim of reducing accidents and fatalities, increasing stewardship of America’s waterways and keeping boating safe for all. A range of boating safety courses – including 36 free state courses – can be found at BoatUS.org/Courses. Some of the best memories are created on the water and if you’ve been thinking about buying a boat or trading up to a newer model, THIS is the show. The Great Upstate Boat Show is the biggest boating sales event between New York City and Montreal. 2017 marked another record year in both attendance and sales, as thousands of folks from all over New York and New England flocked to the event just north of the Lake George Region. Everyone loves a deal, and this show’s organizers have created a wonderful event with a primary focus on saving attendees money on a wide variety of new and preowned boats, as well as a plethora of boating lifestyle accessories. The most reputable dealers and lifestyle boating vendors throughout the Capital and Adirondack regions of New York will be showcasing the latest technologies for the ultimate on-water experience. Boats being displayed include: Bowriders, Deck Boats, Jet Boats, Ski Boats, Aluminum & Fiberglass Fishing Boats, Classic Wood Boats, Pontoons, Cuddy Cabins, and Cruisers. Personal Watercrafts, Docking Systems, and Engine Outboards will also be on display. 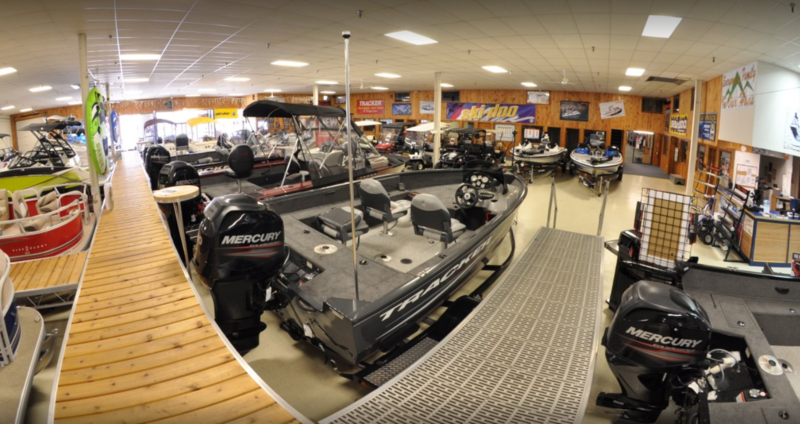 Boat dealers and lifestyle vendors traditionally have their largest selection ready in early March. It’s key selling season at this time and they’re eager to move inventory. A neat addition this year is that when folks purchase a boat, each will have the chance to “Crack The Vault” and win up to $50,000. The Warren County Sheriff’s Office and state Office of Parks, Recreation and Historic Preservation are combining forces to offer a free boater safety course next month in Queensbury. The course is mandatory for all would-be boaters born after May 1, 1996. Sheriff’s Office Marine Patrol officers will be the instructors. 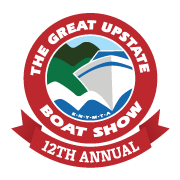 Some of the best memories are created on the water and if you’ve been thinking about buying a boat or trading up to a newer model, you don’t want to miss the 12th Annual Great Upstate Boat Show at Adirondack Sports Complex in Queensbury – it’s the three best days of the year to SAVE! Don’t miss the biggest boat show and sales event between New York City and Montreal! The most reputable dealers and lifestyle boating vendors throughout the Northeast will be showcasing the latest boats, technologies, and boating lifestyle accessories, all in one location. Boats being displayed include: Bowriders, Deck Boats, Jet Boats, Ski Boats, Aluminum & Fiberglass Fishing Boats, Classic Wood Boats, Pontoons, Cuddy Cabins, and Cruisers. Personal Watercrafts, Docking Systems, and Engine Outboards will also be on display at this year’s show. It’s been a LONG winter and our dealers are ready to move inventory, so you can be sure to SAVE BIG at this show! AND…after negotiating your best deal here at the show, you save an additional 2% OFF your bottom line price! It’s All Under One Roof – A True One-Stop Shopping Experience!